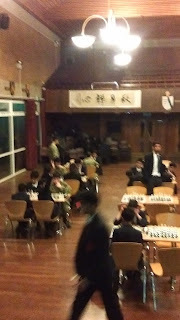 This year QMGS hosted the "closed play" tournament for the first time. The tournament was a "Jamboree" format with 9 teams from the Birmingham Junior League taking part. 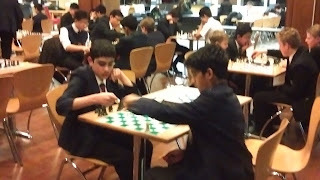 The eventual winners where King Edwards Edgbaston, with King Edwards Camp Hill a close second. 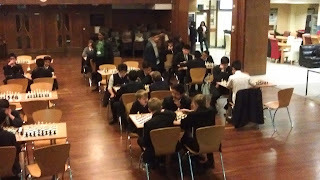 Queen Mary's managed a middle of the table finish, with most players managing to win at least one game. Well done to Amaron Bhatti for winning all of his games!